Computer Says ‘No’ – Out of Stock! So there I am, happy hookers, looking forward to getting on with my stripey blanket and then I find out that the two colours I am waiting for are still out of stock and won’t be here for a couple of weeks! Don’t you just hate it when that happens! So what to do – a dilemma me thinks. 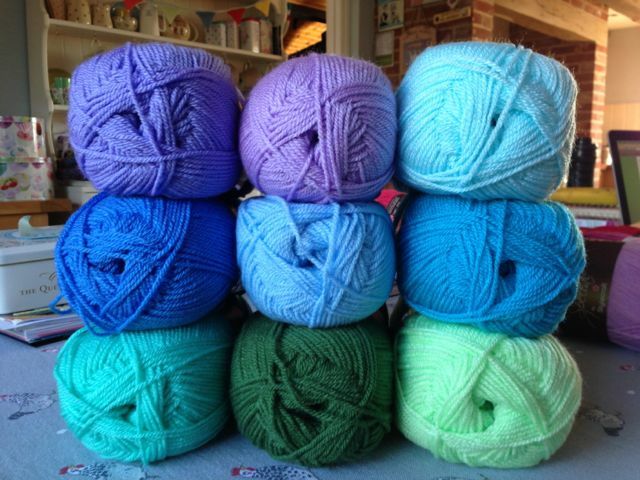 No chance – start another project – after all, you can’t have too many hooky goodies on the go at once can you! 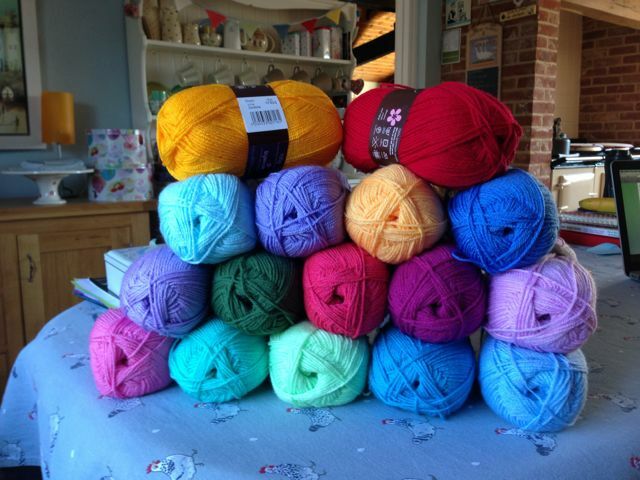 Plus all this yummy (extremely cheap) acrylic yarn arrived at my house last week – oops better not tell Mr Hippy! So what’s a girl to do! how difficult can it be! Let’s hope I don’t regret that last statement. Just to keep an eye on my progress, I have decided to have a bit of a stitch-along and give you a blow by blow account of progress! Just click on the Pages (top right) where it says Random Stitch Blanket Step by Step. I am going to join you on this blanket. I just got all my Stylecraft yarn as well and will follow along with you. Like you, I'm afraid of any math. We can do it!! Thanks for following! I can't promise a success but I will give it a go! You look much more experienced than me – that cushion you did was brilliant. 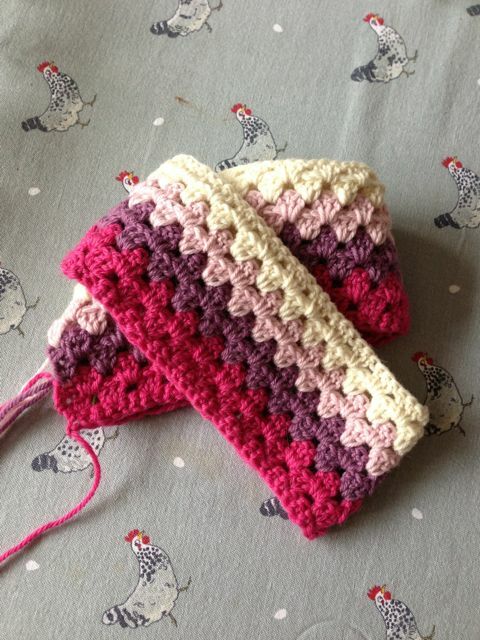 I also love the no chain double crochet video – shall certainly be doing that give a link! Hope to catch up soon!